Maintenance staff at the school were busy while teachers and students enjoyed their October break week. One of the improvements awaiting our return: new giant chessboards to play with. 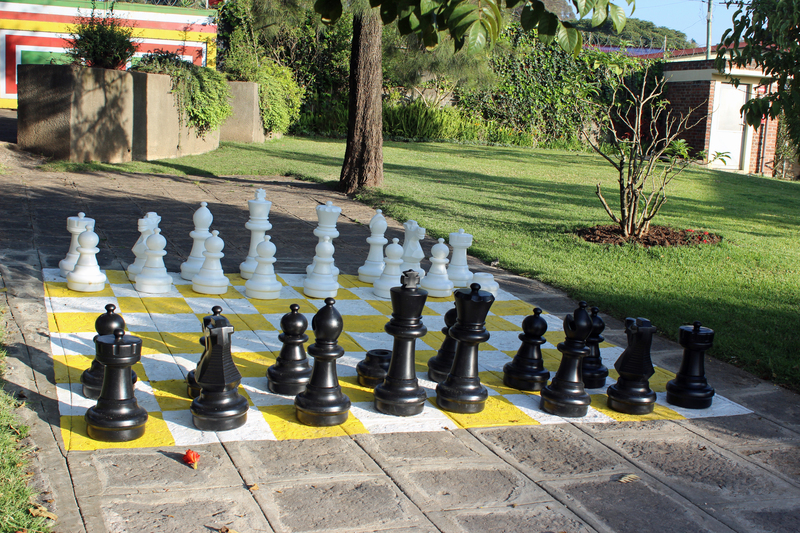 This entry was posted in Addis Ababa, Ethiopia, International Community School and tagged chess. Bookmark the permalink. Cool! Do you play chess? Yes, badly. I’m not good at planning more than a couple of moves ahead. But maybe with this nice weather I’ll be inspired to practice!